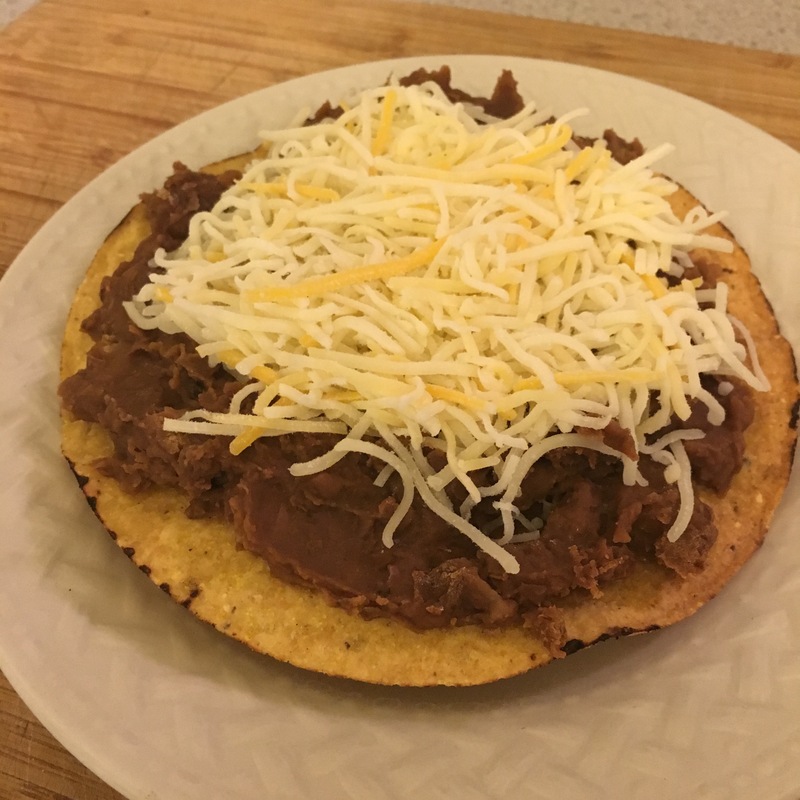 This recipe for 15-Minute Bean Tostadas is perfect for busy weeknights, leftover night or like how I was inspired, and used up my leftover Homemade CrockPot Refried Beans. I like serving tostadas on Thursday nights, for Thursday Night Football. 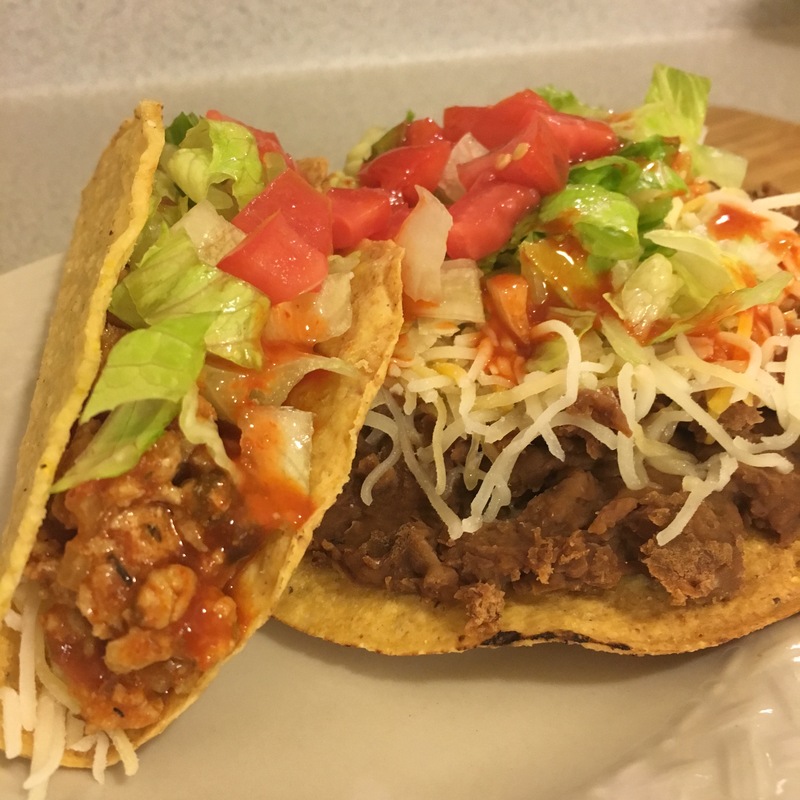 I will make the setup almost like I do for taco night, and then we can just assemble our tostadas and eat away. Every time we go to a Mexican restaurant, I always order the tostada. 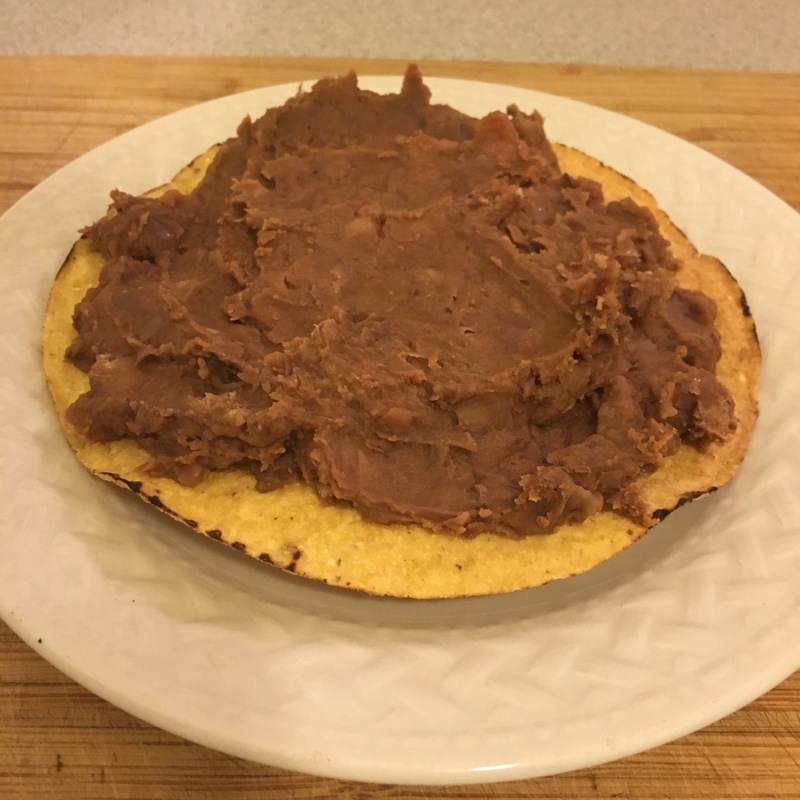 There is just something about that crunchy, salty corn tortilla, and the refried beans that makes my mouth smile. 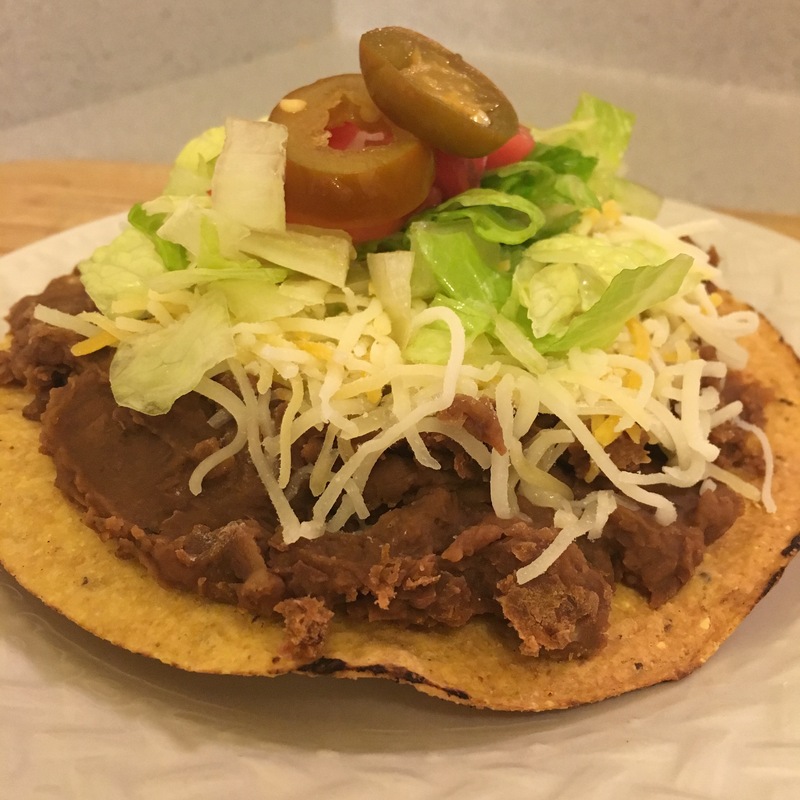 A tostada is basically a flat taco, and if you wanted to, you could add all of your favorite taco toppings right on the top of the beans – even taco meat. 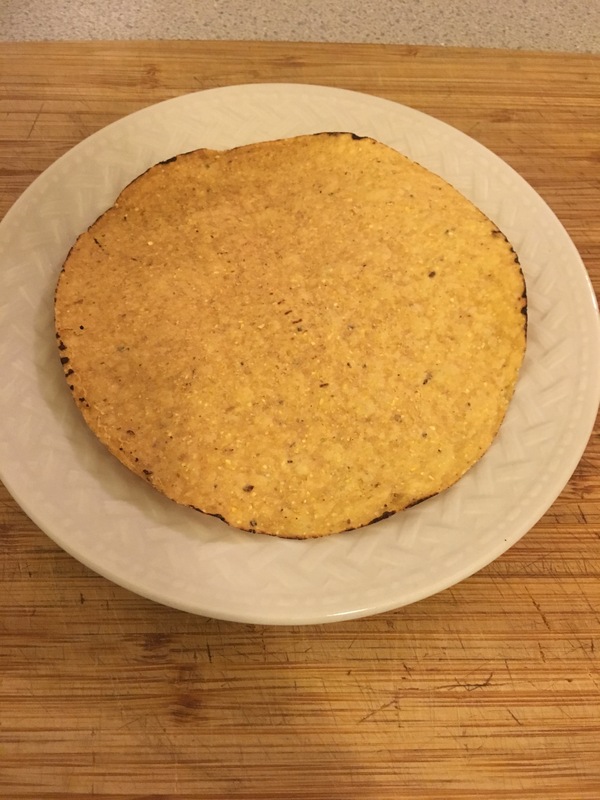 And, if you wanted to go one step further, perhaps serving Mexican at a dinner party, you can make homemade tostadas – just simply fry a corn tortilla in 375 degree oil for 2-3 minutes, or until crispy, transfer to a wire rack or a cookie sheet lined with paper towels, and season with salt. 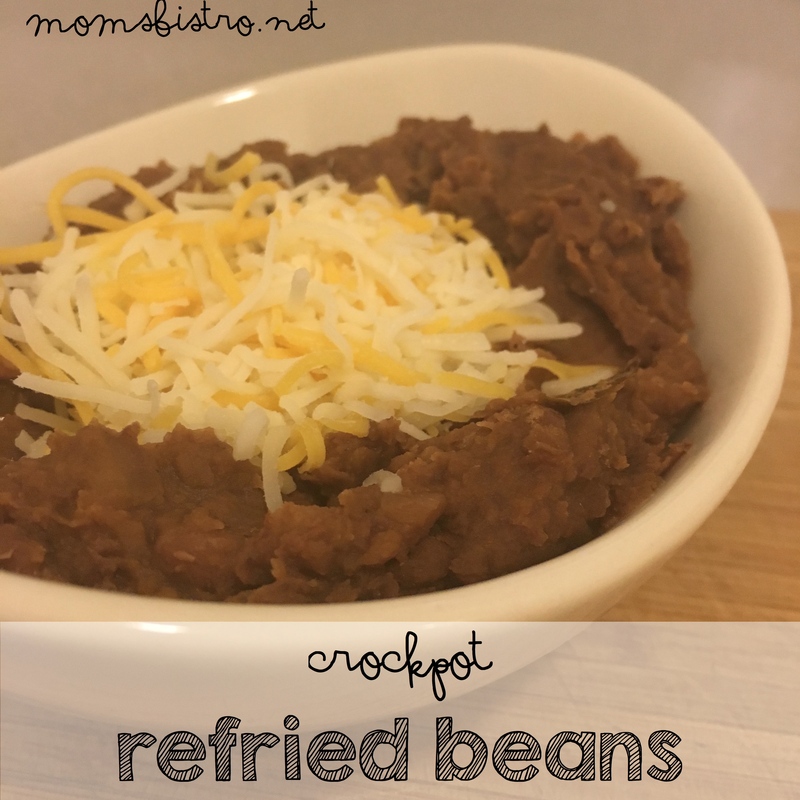 Cook CrockPot Refried Beans according to recipe directions. 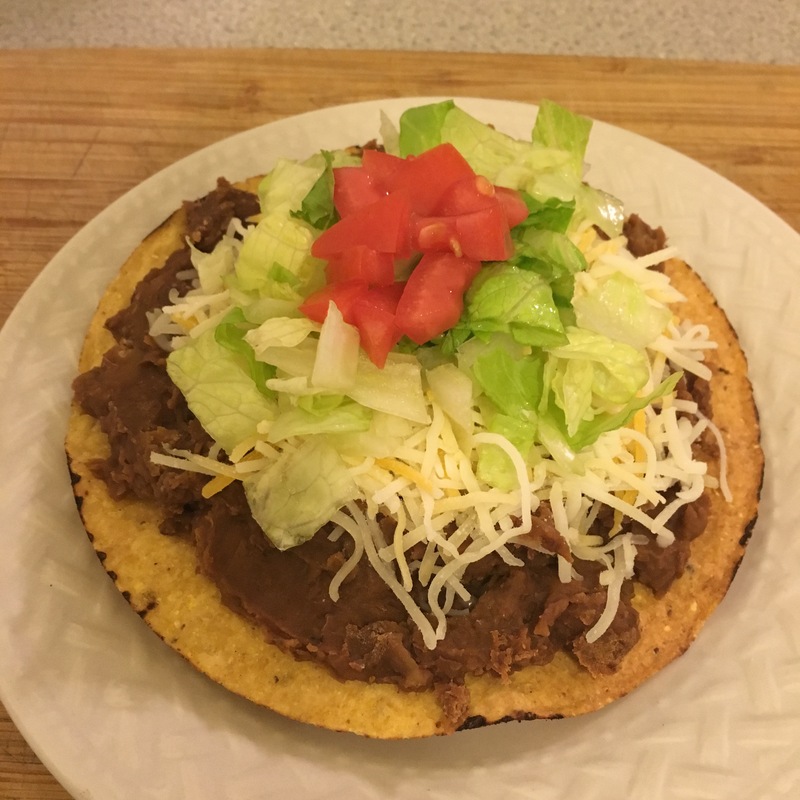 Preheat oven to 400 degrees, and toast tostada shells for 5 minutes. 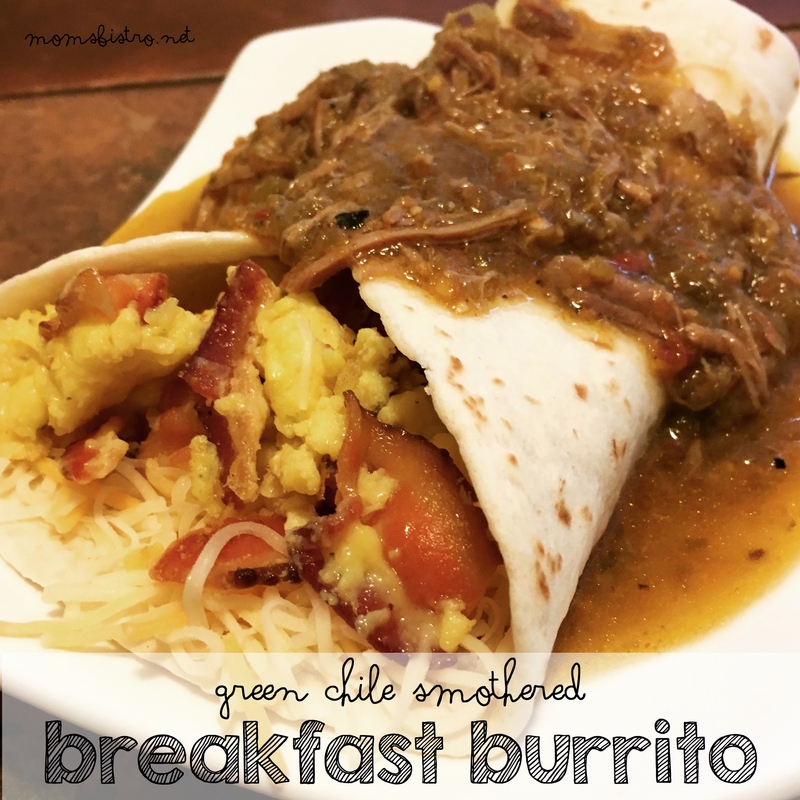 Remove from oven and carefully top with refried beans. Add shredded cheese and desired toppings. 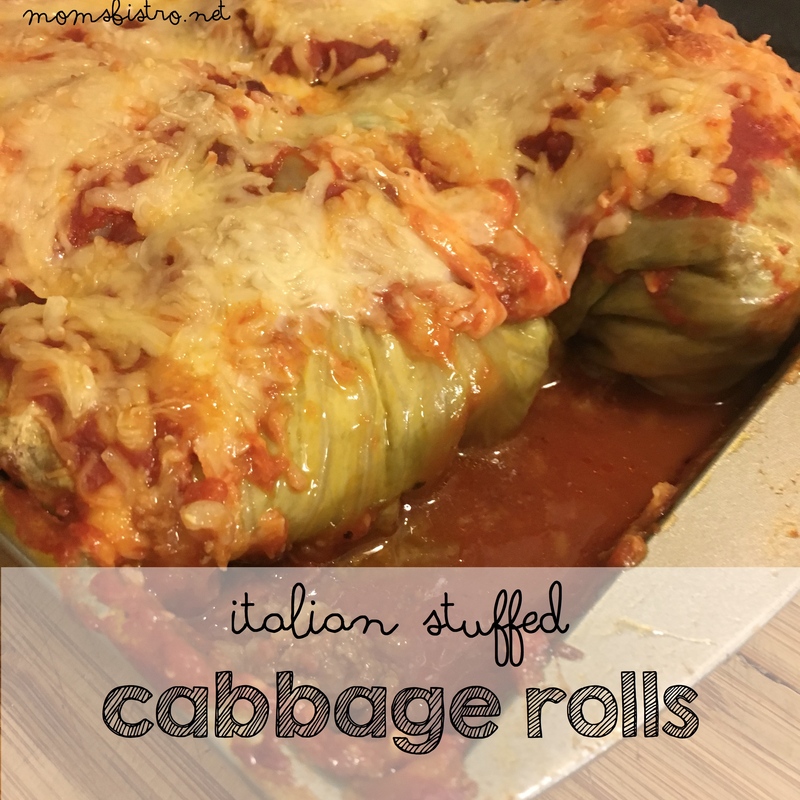 We used lettuce, tomatoes and pickled jalapeños. 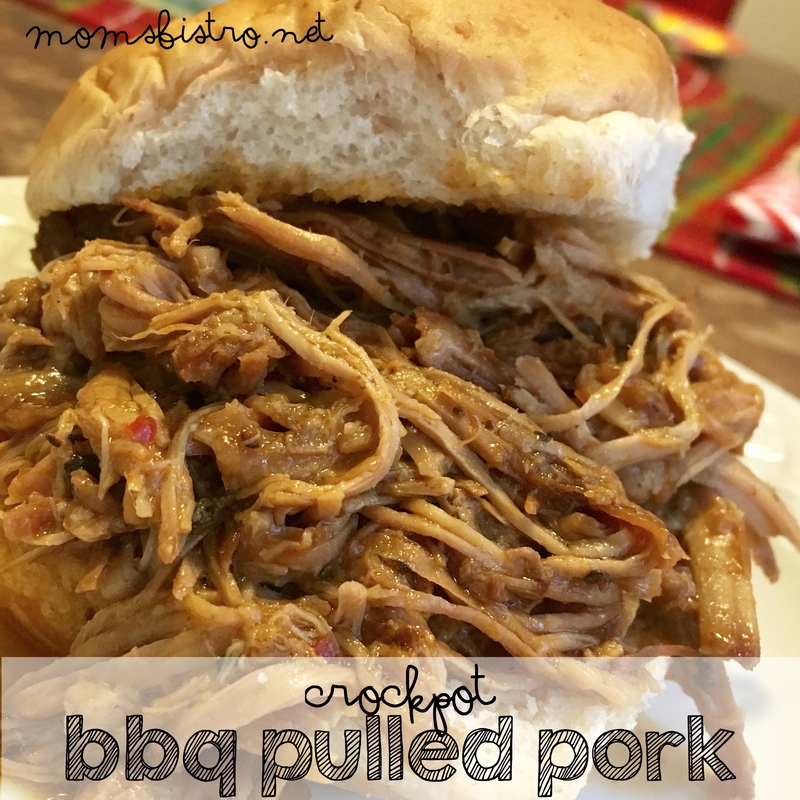 Serve with homemade pico de gallo or restaurant style salsa. 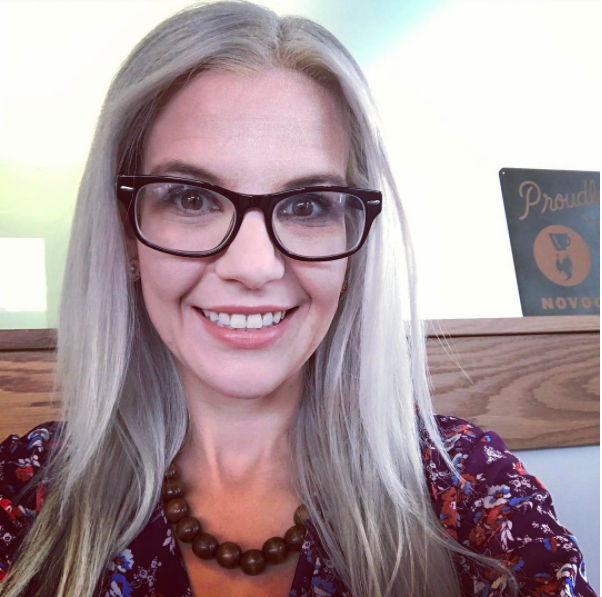 Want the printable version to add to your collection? 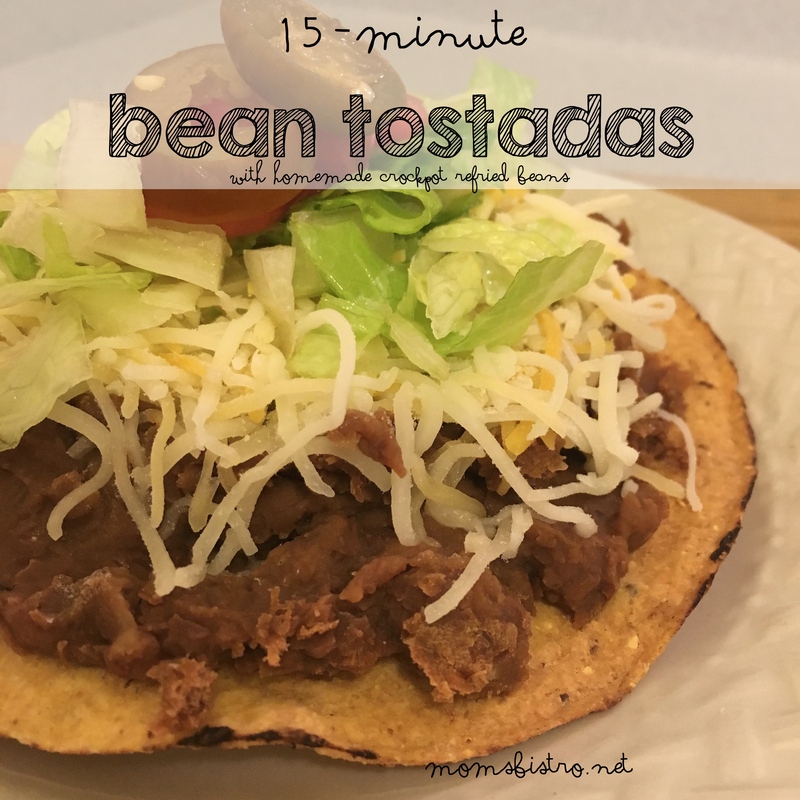 Click the picture below for a FREE printable PDF version of these Easy 15 Minute Bean Toastadas.